Frill	has announced he is stepping down from XL2 Academy	 XL2 Academy Contenders NA Rank #8 Kirby Kim Dong-wook (김동욱) off tank Haku Robert Blohm flex support Yaki Kim Jun-gi (김준기) dps Rina Justin Jeon dps Speedily Nicholas Zou dps Akawa Adrian Kawa tank Jer Jeremy Santacruz support . He cited burnout as the primary reason for his departure. 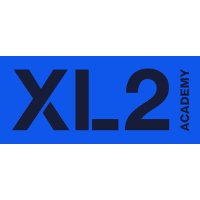 Frill joined XL2 before the start of Contenders 2019 after the team sought to recruit more local talent. He has played in every map of Contenders 2019 for XL2 to this point. He joined XL2 after spending 2018 moving from team to team without an organization. He began the year with the roster that eventually became known as GOATs before joining Bazooka Puppiez and then Last Night's Leftovers in Contenders Season 2. He played with Second Wind in Contenders Season 3. He and his teammates made popular the 3-3 composition that would later become meta while he was on GOATs. The composition still bares his team's name as many refer to it as the GOATs comp. XL2 Academy still have two DPS players on their roster and will not need to replace them unless they want to. Their next match is April 3 against ATL Academy.